Okay, so I get that I’m late for March. But, better late than never right? Last month was a crazy busy time for me. However…things will be getting crazier around here soon! Shugary Sweets is getting a makeover! Stay tuned, because I’m super excited. 1. Jamberry. Yep. I’m still obsessed. But I wanted to share an awesome Mother’s Day deal with you all. 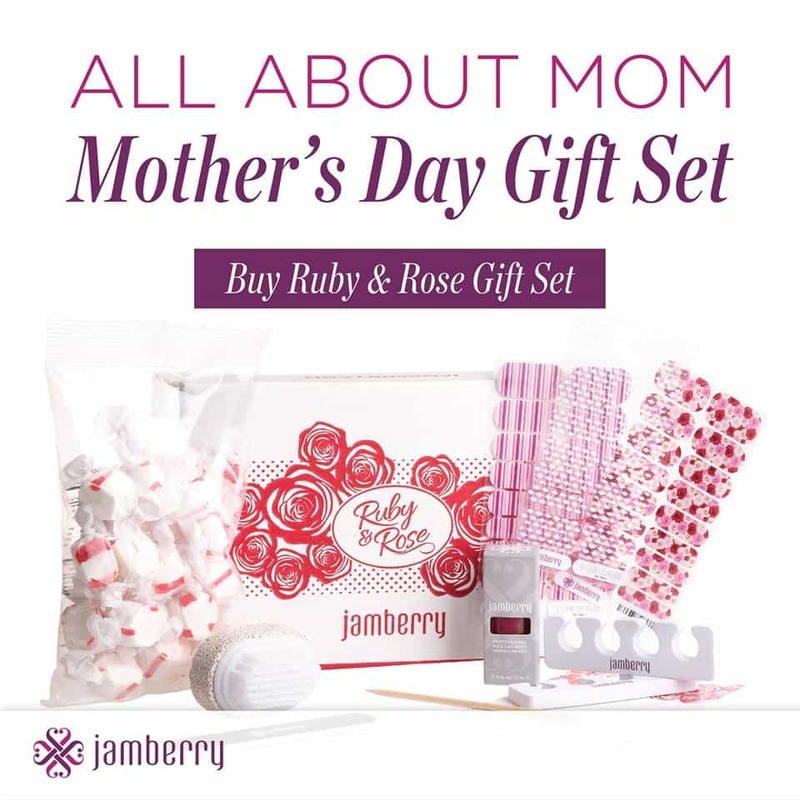 Why not treat mom (or yourself!) to the Mother’s Day gift set? 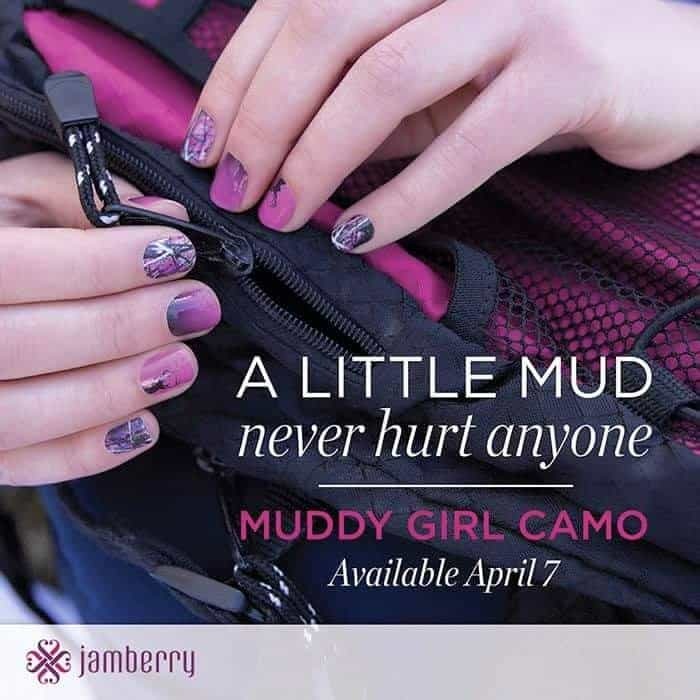 This comes with THREE fun wraps and a bottle of nail polish. Also added to the package is a bag of peppermint taffy (yum), nail file, orange stick, pumice stone and brush, and toe separators. The three wraps on hands! The clear wrap is pictured over the Ruby polish. So pretty! 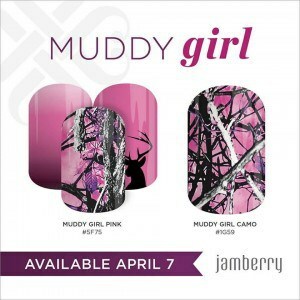 Ohh and before I forget….check out these fun Muddy Girl Camo wraps! They’re new and stylish and perfect for the outdoor adventurer! 2. 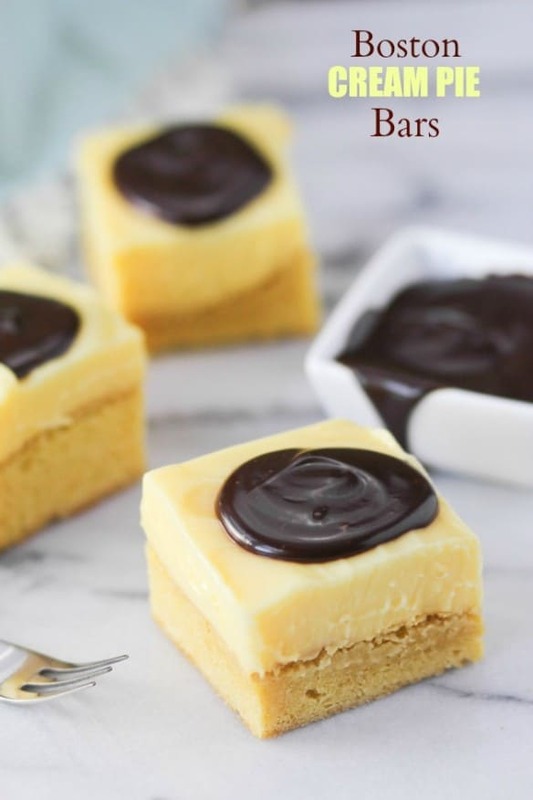 Boston Cream Pie Bars: I love Boston Cream Pie. Boston Cream Donuts. And now, Kristan from Confessions of a Cookbook Queen has shared some Boston Cream Pie Bars. These look amazing. And I am pretty sure I can devour them in minutes! 3. Fun in the Sun. In March, my daughter qualified to swim at the NCSA Junior Nationals in Orlando Florida. Which means…her fast swimming earned mom a chance to head to Florida. I took my mom with me and we enjoyed a whole week of vacation. The weather was gorgeous! My daughter traveled with her team, and spent every minute of every day at the pool. And by pool I mean, the Orlando YMCA. Indoors. 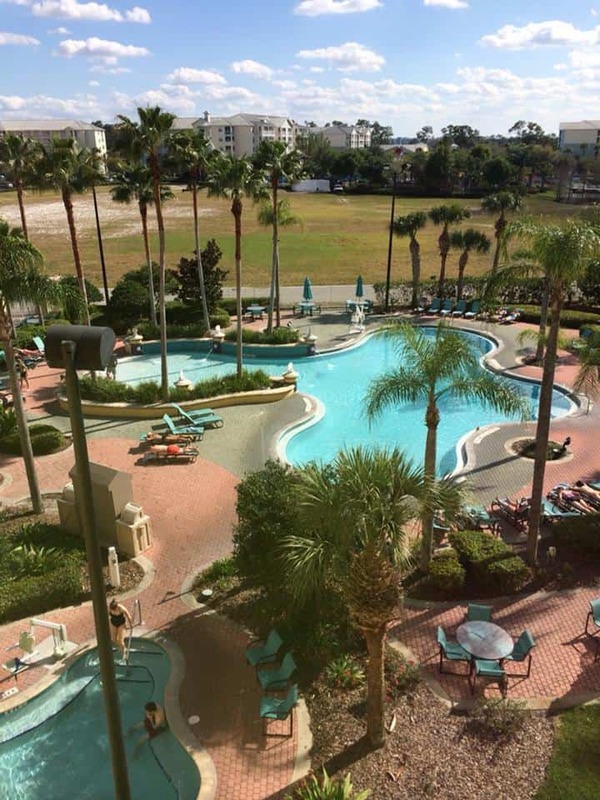 My mom and I spent the week by this pool, reading books and drinking frozen vodka lemonades. And then I came home to snow. The end. 4. #ChiTownRetreat: Prior to our trip out of town, I had the privilege to spend three days and two nights with some amazing food bloggers, here in my city, Chicago! 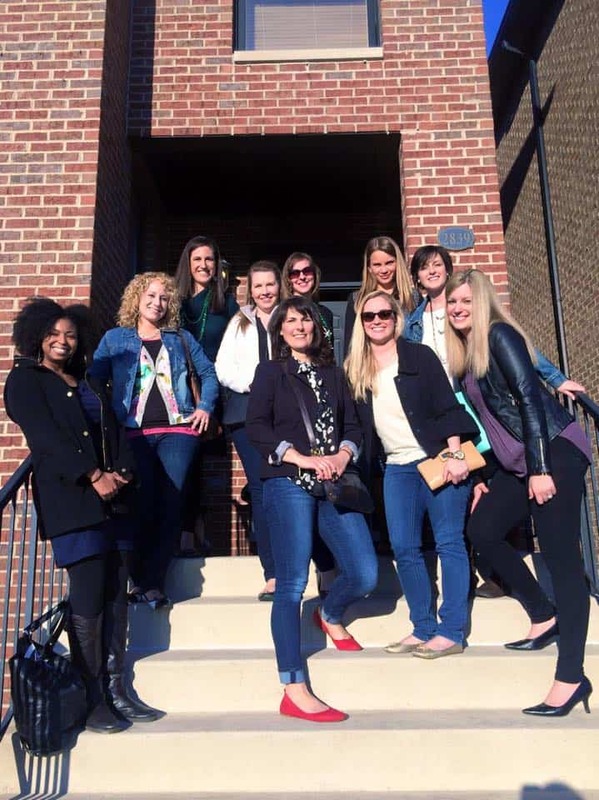 You may recognize some of these wonderful ladies by face…and I’m so glad I got to meet some of those I had never met. The days went by too fast, and the nights were spent in jammies! Of course, I enjoyed hanging with my bunk mate, Jocelyn, any chance I can get! There was also an amazing session on Lightroom that blew my mind. Thanks to Phi, I’m going to start learning that! Hopefully you’ll see some new and improved photography here on Shugary Sweets! 5. 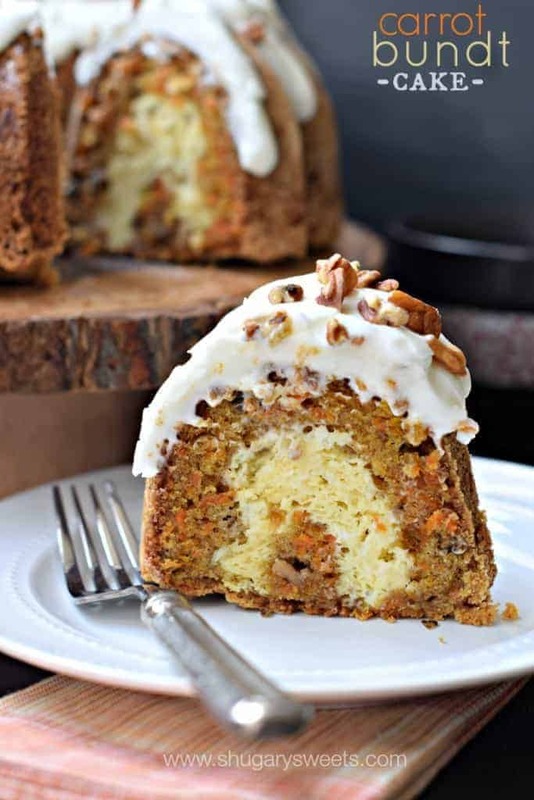 Carrot Bundt Cake: This sweet cake has been one the most popular dessert recipe on the blog this month! And it’s no wonder. I mean, guys, it’s a bundt cake (point 1). It’s carrot cake (point 2). 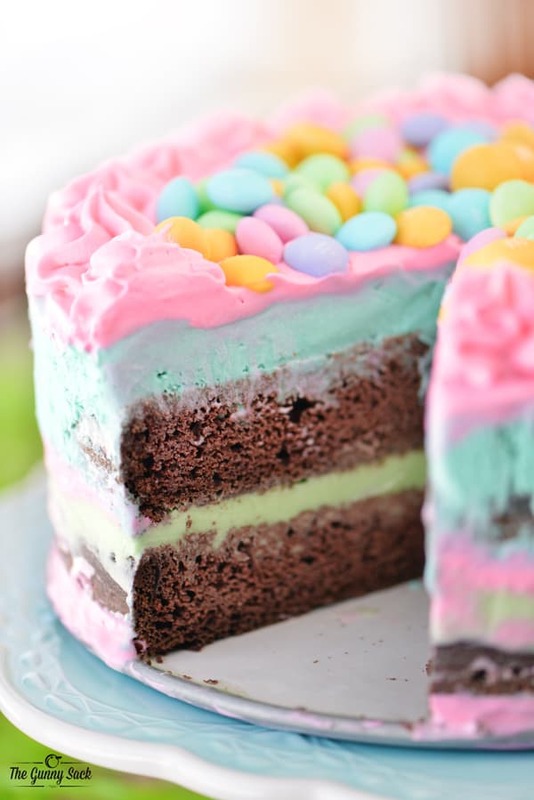 It’s got a cheesecake swirl inside the cake (point 3). And I covered this bad boy in LOADS of cream cheese frosting (point 4). Yep, it’s a winner!! 6. 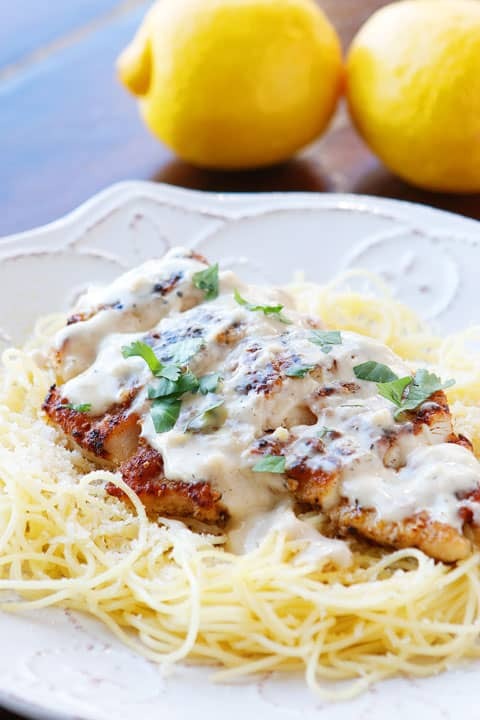 Crispy Lemon Chicken Pasta: Amanda knows the window to my soul with this recipe! I’ve got it on our menu for next week and I can’t wait to eat bite after delicious bite! 7. Pretzel Crust Pizza: David from Spiced shared this recipe last year, and it keeps popping up in my pinterest feed. I think that’s a sign that I need to make it tonight. Right? 8. 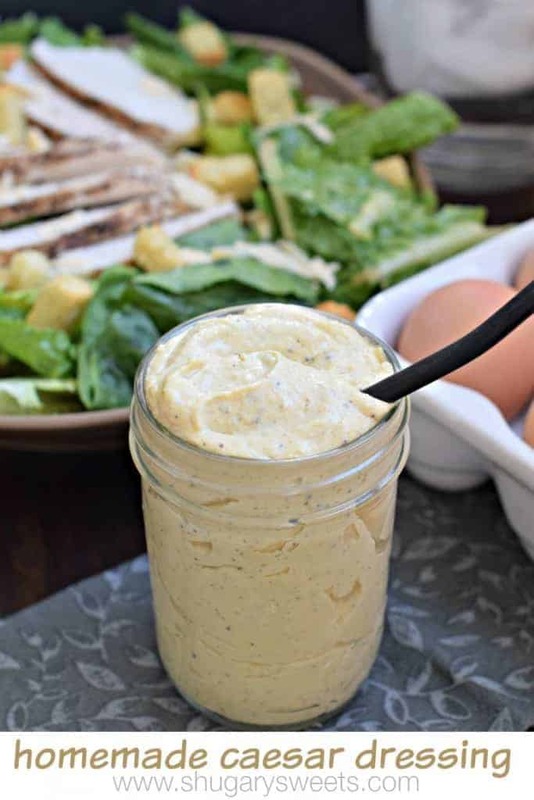 Homemade Caesar Dressing: This creamy dressing is the most popular savory dish on the blog this month! And I’ve got a little secret. I made the dressing with hard boiled eggs. No raw eggs in this one! PLUS, I used worchestershire sauce, so there are no slimy anchovies to deal with. You’re welcome! 9. 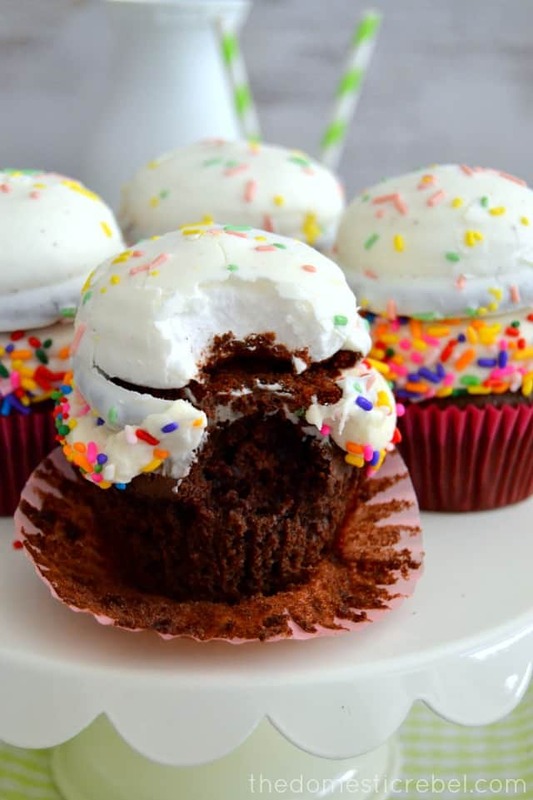 Marshmallow Puff Cupcakes. Little known fact. I am crazy about chocolate covered marshmallows. Those Little Debbie marshmallow puffs are the bomb in my book. So when I saw my friend Hayley make some cupcakes with them? I gasped with joy. Seriously. 10. M&M Ice Cream Cake from Tonia. My girls just celebrate birthdays the past two weeks, and both of them had ice cream cakes. I’m kicking myself that I didn’t make this beautiful pastel version for them! Next year. Aw that retreat looked so fun! How wonderful to meet so many like-minded people. 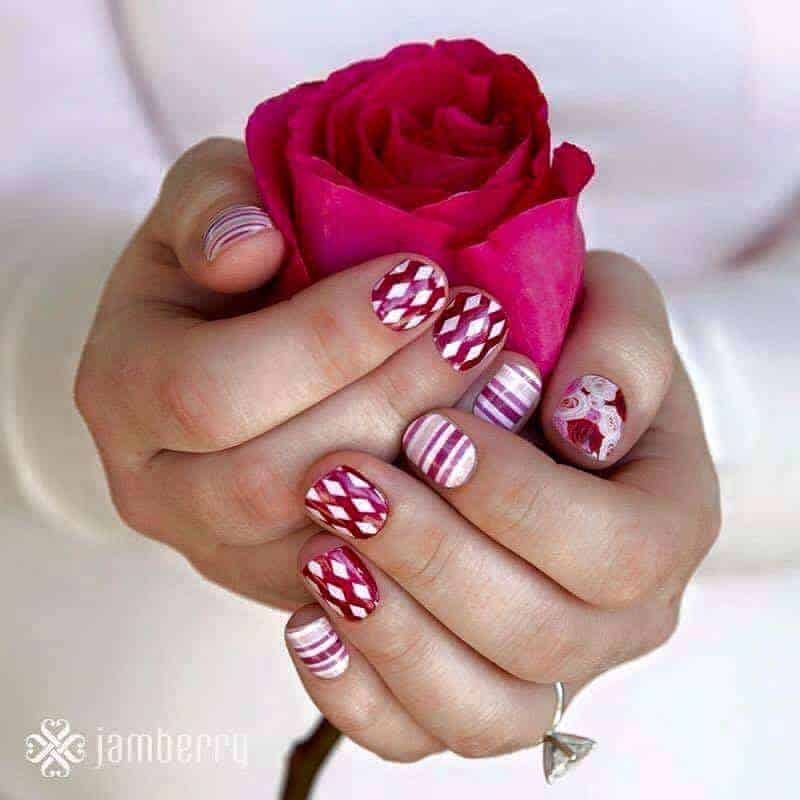 Also excited to hear about your upcoming make over – look forward to seeing the results!!! 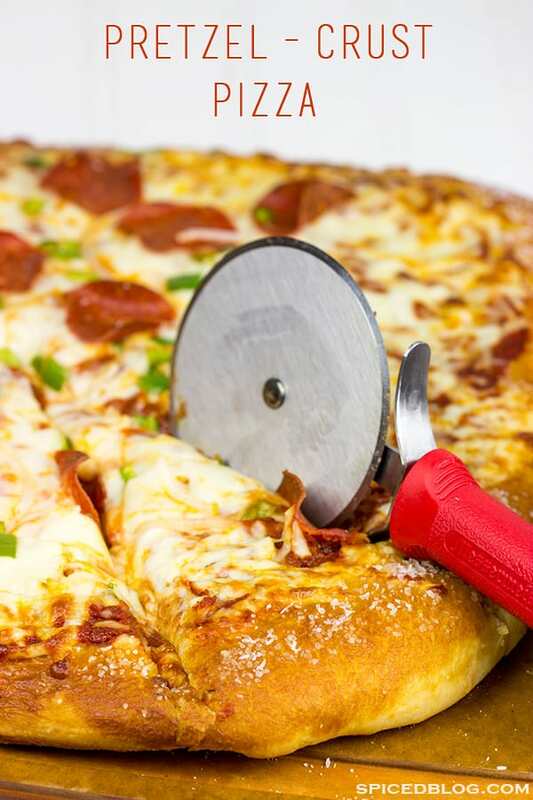 Thank you so much for including my Pretzel Crust Pizza on this list, Aimee! You are the best!! 🙂 Happy April! Thanks so much for the shout out! It looks like you had an awesome month. 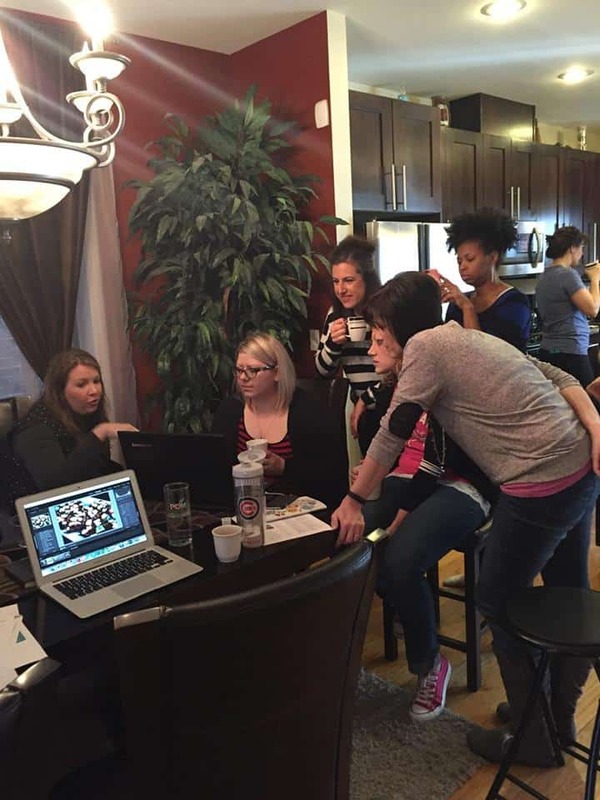 I would’ve loved to have hung out with all of you ladies and I would love to sit in on a Lightroom training session.